Cyndi Dale – There are many human energy fields. These include the physically measurable electromagnetic and magnetic fields generated by all living cells, tissues, and organs, and the body as a whole. But there are also biofields—subtle or putative fields emanating from these pulsing units of life— as well as our subtle energy bodies, channels, and aspects of self. Here are brief descriptions of the most important human biofields. 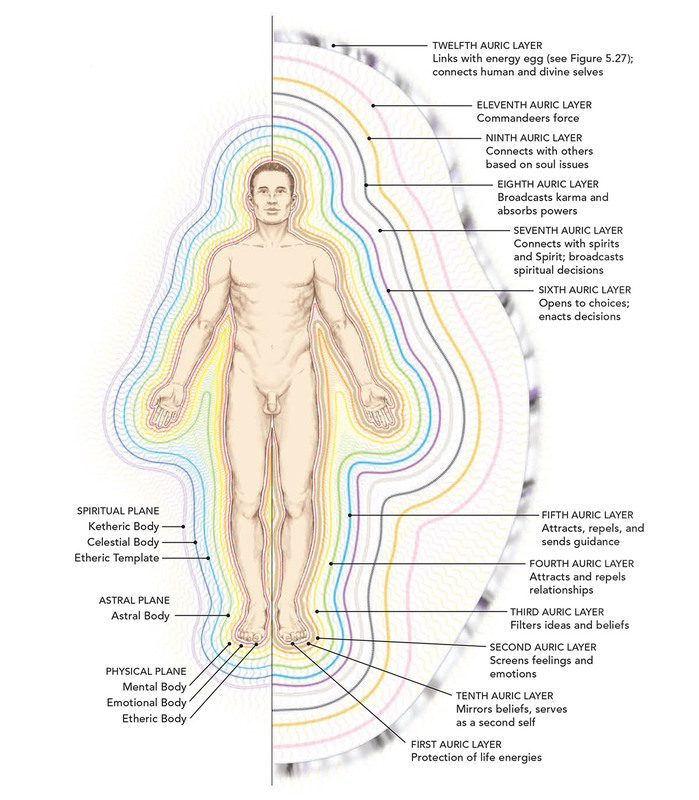 Science has been actively involved in penetrating the mystery of the aura since the early 1800s. During that time period, Belgian mystic and physician Jan Baptist van Helmont visualized it as a universal fluid that permeates everything. The idea of the aura acting like a fluid—or flowing—as well as being permeable has remained consistent throughout history. Franz Mesmer, for whom the term “mesmerism” was coined, suggested that both animate and inanimate objects were charged with a fluid, which he perceived as magnetic, through which material bodies could exert influence over each other, even at a distance. Baron Wilhelm von Reichenbach discovered several properties unique to this human energy field, which he called the odic force, and would later be ascribed to the subtle body.He determined that it shared similar properties to the electromagnetic field, which had previously been investigated by James Clerk Maxwell, one of the fathers of electricity. The odic human energy field was composed of polarities or opposites, as is the electromagnetic field. In electromagnetism, however, opposites attract. Not so in the odic field, where like attracts like. the assemblage point is a cluster of energy lines that connect to the body and surround it.Practitioners report that the entry point is quite tender and between one-half and one centimeter in width. Research using infrared digital thermometers and image scanners shows that this point is about 0.2 degree centigrade lower than the surrounding skin. People have been looking for ways to enhance brain function for centuries, and this quest has resulted in many different options. There are old and new methods that people use to tap into the potential of their minds, but one of the most common techniques has always been coffee.